The U.S. Air Force is asking Congress for more money to allow it to better fight and win a war in outer space against Russia and China. The increased funding will also go to protecting its multitude of military satellites (milsats) from attacks by either Russia or China. Only last March, Russia awoke its most sophisticated anti-satellite satellite -- Kosmos 2504, a maneuvering satellite killer "asleep" for the past two years. The robotic Kosmos 2504 represents the newest generation of Russian ASATs (anti-satellite weapons) that neutralize a target not by colliding with it or exploding in close proximity to it, but by pushing enemy (United States) milsats out of their orbits, thereby rendering these milsats useless. What makes the Kosmos 2504-class extremely dangerous is they can keep attacking U.S. milsats until their thruster fuel runs out. And to make certain the U.S. milsat targeted for destruction is indeed the intended prey, Kosmos-2504 ASATs maneuver close to their target and first send photos or video to ground control prior to the attack. The Air Force is asking to increase its fiscal 2018 budget for space programs to $7.7 billion, a 20 percent increase from the current year. 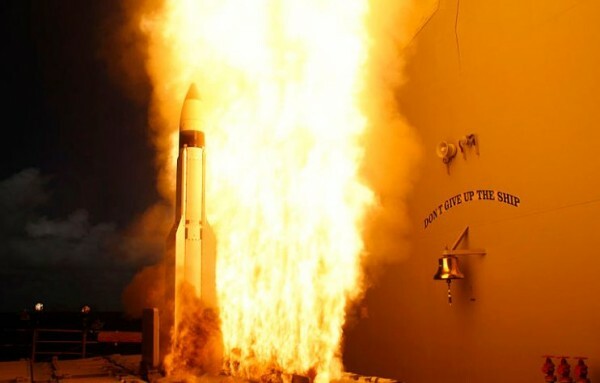 The request is an effort to protect the space domain and the U.S.' missile defense network that depends heavily on satellites to detect enemy missile launches. Space is now considered a warfighting domain by the U.S., said Maj. Gen. Roger Teague, director of Space Programs for the Office of the Assistant Secretary for Acquisition. He said China and Russia have been "quietly watching" and preparing their own ASAT systems that will destroy U.S. satellites and ground stations, as well. Gen. Teague, however, refused to categorically state the U.S. will use ASAT missiles to destroy Chinese and Russian satellites. Gen. Teague said "it's important we recognize the rising threat environment, and that we are taking action to defend ourselves if necessary."